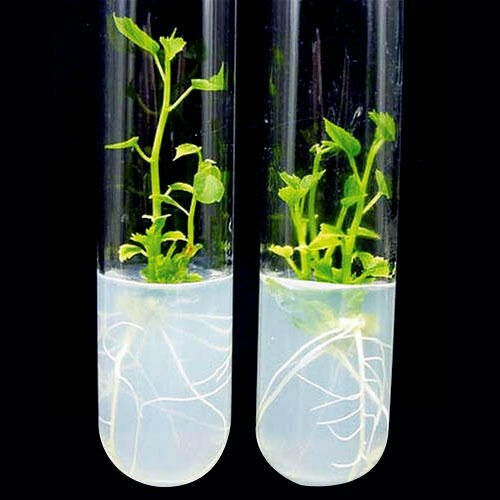 Plant tissue culture is a method of techniques used on a known composition nutrient culture medium to maintain or grow plant cells, tissues or organs under sterile conditions. It also helps plants grow from where they were wrongly cut off or from the injured part of the plant. Plant tissue cultures are generally derived from multicellular tissue fragments, known as explants, derived from living plants. These explants may be derived from a wide variety of plant tissues such as leaf, stem, root, hypocotyl, cotyledon, embryo, or meristem.